With todays security threat, small and midsize companies need to ensure they are protected. 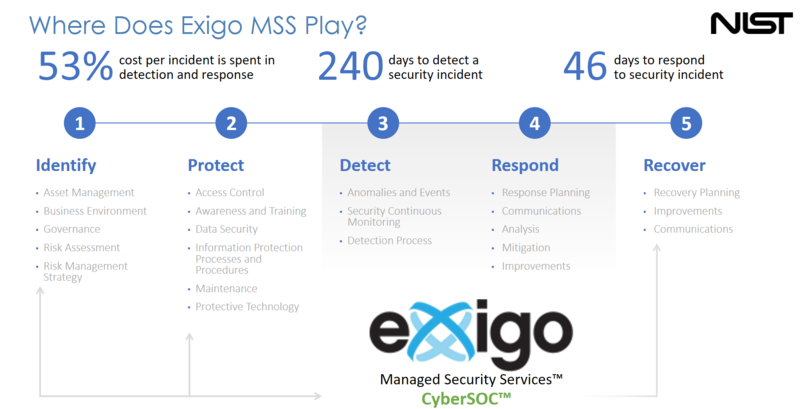 Exigo offers managed security that monitors all aspects of your environment for potential threats. Our Security Engineers monitor the systems 24/7/365 and provide regular audits and penetration tests as needed. Small and medium-sized businesses (SMBs) now confront the type of advanced cyber threats that previously targeted only the largest and most sophisticated enterprises. 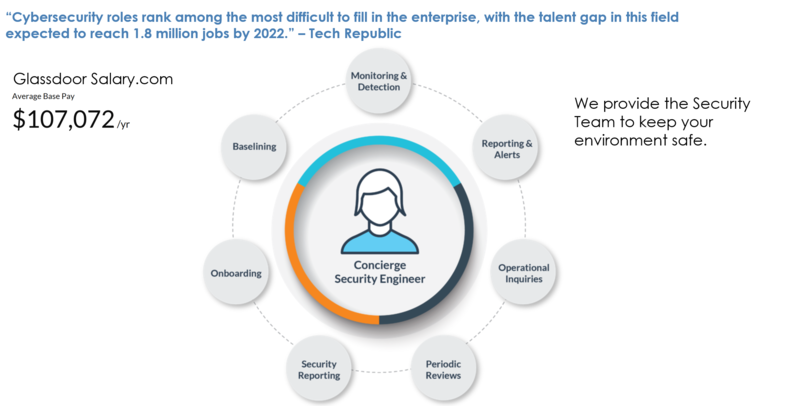 Unfortunately, they typically lack cybersecurity experts on their IT staff. What’s more, they lack the budget necessary to fully secure their organization with an in-house security operations center (SOC). • Customized reporting to meet PCI, HIPAA, SOX, etc. Your Own Cyber Security Expert! Contact us to learn more about our managed security solutions!